You must make reservations at least 5 minutes in advance of the time at Chez Mamou. Chez Mamou is the place outside of Paris where you can enjoy a traditional French breakfast, a hand-crafted pastry, and an exquisite gourmet dinner. For reservations of 8 or more, please contact us. 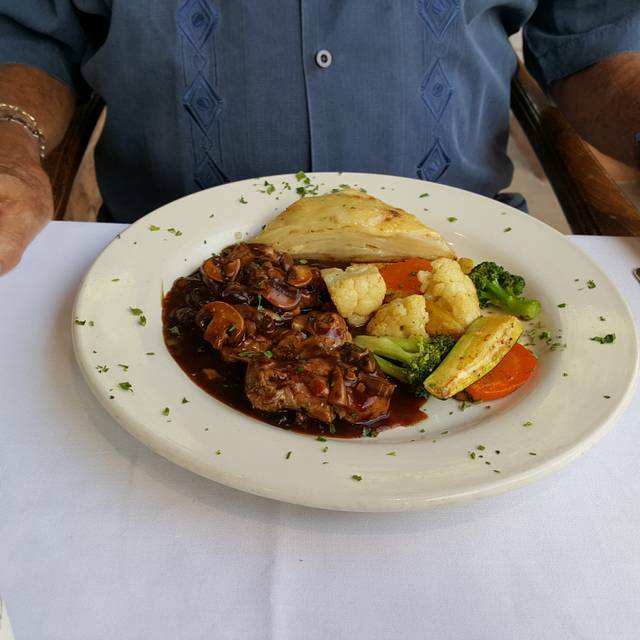 We have ALWAYS had superb food and service at Chez Mamou. This time was no exception. We will go back and would recommend it unconditionally . The food was tasty, the service was fine. The ambiance is relaxed but white tablecloths. The baked beets/avocado/citrus appetizer was well worth the whole experience. My wife and I very much enjoyed our dining experience at Chez Mamou. We had a quiet, relaxed, intimate dinner and with great food and service. They have a good looking wine list with many great affordable options. lunchtime, I ordered cordon-bleu, a simple French dish of chicken, ham and cheese, and what I received was a mass produced very thin, dry square of food that was no doubt made on a sheet pan and cut for each undersized portion--the same for the potatoes au gratin. And the so-called spring vegetables were two carrots slices barely cooked, topped with two small charred pea pods, and a quarter sized piece of overcooked cauliflower. I did not bring this to the waitperson's attention because I was with a friend and did not want to take away from our conversation. The wall to wall window that looks at a the rear of a hotel is unsightly, and the window is unshaded, the glass not tinted so that the harsh glare forced us to wear sunglasses while eating. 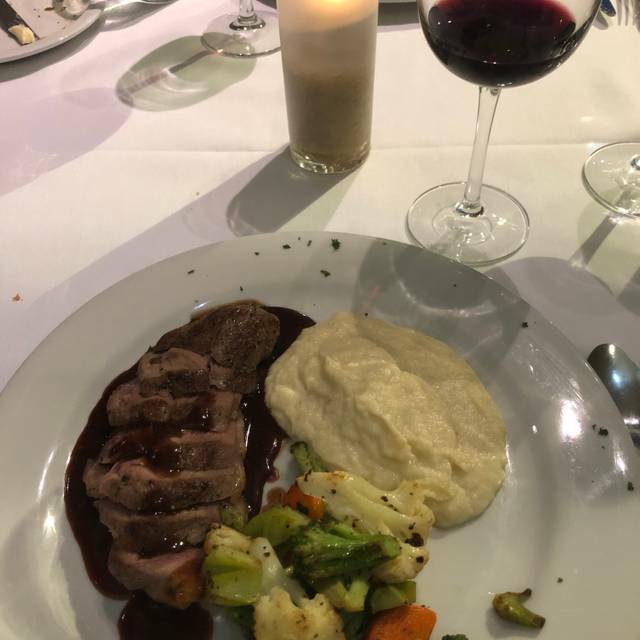 I guess this 'French' restaurant is fooling the diners in Santa Fe--I recommend a new chef, and I would like my money back, please!! Outstanding food, wine selection and personal service. Great dinner--very creative, appetizing presentations. New wait person was excellent! Disappointed with lunch. I had been wanting to try this restaurant so I thought I would start with lunch. Ordered a shrimp scampi salad, when it came out I was surprised at how small it was! I must say the small shrimp were delicious. There was very little romain lettuce and four 1/8 size slices of barely red, tasteless tomato. There is no excuse for not have good tomatoes at a restaurant of this caliber. Usually when I go to a French restaurant bread is served at the table, it’s French after all. No bread! I was also disappointed to have to pay the bill at the counter...like a diner. My friend and I left disappointed and hungry (she had the same thing). Food is amazing here, but the service is so lacking. Seems like it was the first night for the waiter who was clueless. Our food was excellent but service was slow. Their pastry s were also very good. Our dinner was good but not as good as the first time. The wine was good. I don't understand why the bathroom is so neglected and moldy. Probably wouldn't go out of my way to go back. 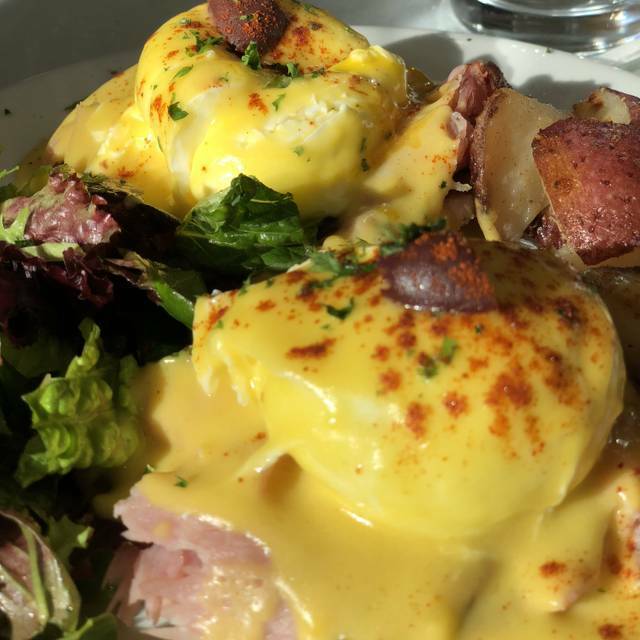 Chez Mamou has been one of our favorites since moving to Santa Fe eight years ago. Dinner was fantastic.... the food was delicious and service impeccable. Liroh was our waiter and happens also to be their wine director. Highly recommend Chez Mamou for dinner! Bottom like is, I don't mind paying for good, tasty, freshly prepared meals. This restaurant was not worthy of their prices, service and quality of food. I'm not convinced that food is freshly prepared. The broccoli and french looked and tasted like prepacked frozen food you get at grocery store. It looked like they put the broccoli on the grill and gave ONE side a charred look. And sprinkles salt on top. The steak had no favor. The short ribs where as good as you would get at a diner. The chocolate dessert had so much cocoa powder, I choked on it when I took a bit. Service was not to par for a "fine" restaurant. Oh!! And part of the restaurant was a bead shop! Why?? There are to many other fine restaurants in Santa Fe. Don't waste your time and money here. Very nice low key evening. Great ambiance, great service, and great food. We enjoyed a nice lunch with little noise and good service. Beautifully prepared from a menu full of creative dishes. I had high expectations, but overall this wasn't a good experience. While the French onion soup was perfect, the duck was seriously overcooked and dry. The waiter brought our entrees without clearing the appetizer plates, which was awkward. There was quite a bit of drama going on with the staff, which unfortunately we were exposed to. Unpleasant, we won't be back. Superb! The French onion soup is to die for - Cannot have a meal here without it. The duck was delicious. Desserts scrumptious. Lovely restaurant. Restaurant menu has great of variety. The food was superb! Food is very good. Very slow service; the entire meal they brought the next course and the watier couldn't put it down because plates had not been cleared. Had to ask for water three times. Time between courses unreasonably long. One bathroom? Got a dessert added we did not want. Expected more for the price. My girlfriend loved and and will return. I won't accompany her. 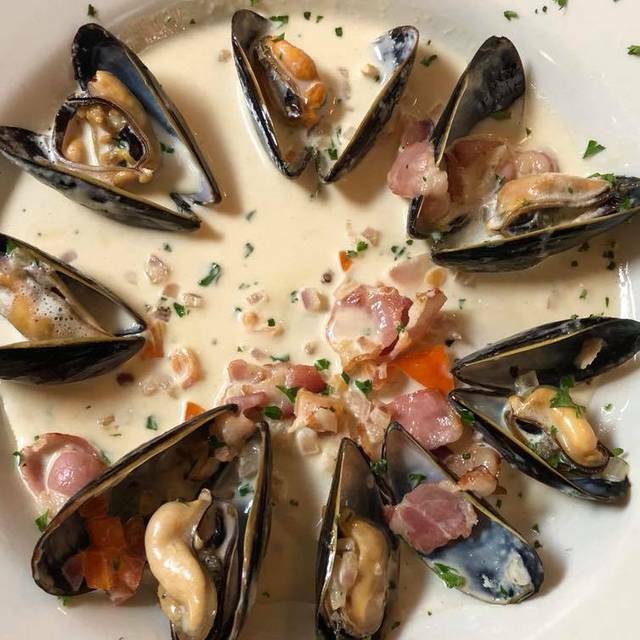 We tried the Restaurant Week fixed price menu and were very pleased with our meal. Every dish was perfectly prepared and my Coquilles St Jacques were fantastic. Our server was friendly and attentive and went out of his way to make our evening enjoyable. This was the best meal we had during Santa Fe’s restaurant week. I appreciated the number of choices that were given. Food and service are always consistently good. The food was really good; tables were somewhat close together, but maybe that’s typical for a French restaurant. We enjoyed the evening tremendously. One of my favorite restaurants in town. Always a much when company are in town. Excellent food and wine. Did the restaurant week event menu. Good value and a great wine pairing with each course. Great value, very good food and comfortable atmosphere! Loved the onion soup. The value of the food for Restaurant Week in Santa Fe was fine and enjoyed my visit to this restaurant. This was our first visit. Will try it again for dinner. Wine list is limited, but there are a few potentialgems worth trying. Lovely! Santa Fe Restaurant week 3-course special menu. Food was great! Service impeccable and friendly. The French onion soup was to-die-for! The scallops and salmon main courses were great. Only (very small) disappointment was a choice of only 2 desserts instead of the dessert tray selection advertised. The food was good, but DO NOT buy anything in the attached gift shop. I bought a ring for $300, wore it for a month, then one of the turquoise stones fell out. I contacted the owner who told me never to call her again as she only communicates via text. So I texted her a picture of the ring and asked that the artist repair it (she told me she bought it directly from the artist) or refund my money. After 2 weeks and several texts, I received NO response. I have called the restaurant twice and asked to speak to the owner; they put me on hold and then tell me they were mistaken and thought the owner was in, but she is not. The owner has absolutely no plans to help me correct this situation or refund my money. I have had others tell me they are not sure it is real turquoise. This owner should not be in business considering the horrible customer service skills she has. We made a reservation but when we arrived it wasn't acknowledged. Only one server for the entire dining room and therefore quite slow and scattered. The server tried but no other help other than a runner. The food and service was really great. The server was particularly knowledgeable about the food and the wine list. What a lovely brunch - simply perfect. The staff at Chez Mamou went out of their way to ensure that we had a table by the windows. Service was excellent - never rushed. Great wine selection which was reasonably priced by the glass. The menu perfect additional brunch options but we were able to order off the full menu. I usually don't have desert but I am happy I decided to share a desert at Cafe Mamou - excellent tarte. You will not be disappointed by the atmosphere, service, wine or food. Amazing food! Went there for breakfast and for dinner!